Signature Iron Doors are the creators of some of the finest quality ornamental garage doors in NY!! Check out the photo of a recent install, this customer also matched shutters and an Iron entry door to the garage door!! We love to build custom products and in fact do not charge a premium to do so! 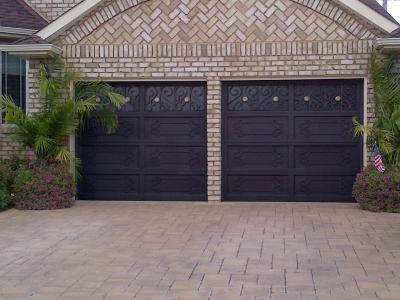 If there is a custom garage door design that you would like to see in wrought iron let us build it! Call us today at 855-388-3535.